Dr. Boll’s research interests include water resources, watershed hydrology, water quality, hydrologic modeling, integrated water resources management, and food-energy-water nexus. At WSU, he is teaching advanced hydrology, engineering hydrology, eco-hydrology and environmental water quality. 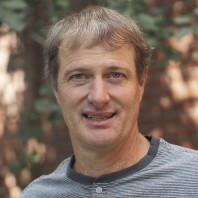 Dr. Boll received his PhD from Cornell University in Agricultural and Biological Engineering in 1995, an MS in Agricultural Engineering from the University of Idaho in 1988, an MS in Land Use Planning from The Agricultural University of Wageningen in The Netherlands in 1988, and a BS in Land Use Planning from The Agricultural University of Wageningen in The Netherlands in 1985.